If you’ve ever tried to access a quick and easy dinner recipe through Martha Stewart’s Everyday Cooking app, you probably noticed that you spent more time waiting for the app to load onto your screen than actually cooking a meal. There are some great recipe finder apps out there, but not all of them are designed to help you find a recipe fast. We sorted through the best of the best to help you spend less time searching and more time actually eating. Tyler Florence Fast, $4.99: Here, ‘fast’ is more than just a reference to cooking time. Users can rifle through more than 500 recipes created by celebrity chef Tyler Florence in no time at all, thanks to a sleek, modern interface. In addition to gorgeous photos and delicious recipes, this app comes with a handy timer so users can actually verify that each recipe is indeed fast. The timer also plays songs from iPhone users’ music app. If you’re unsure about any of the recipe steps, you can use the “Ask the Chef” feature to shoot an email to someone who’ll be able to answer your questions. How to Cook Everything, $4.99: This is the app version of Mark Bitman’s book of the same name and includes all the same recipes – over 2,000 of them. As the book costs more than $20, the app is clearly the better bargain. On the down side, the app does not include any recipe photos. However, each recipe includes cooking time and a shopping list. Although there aren’t any photos, the app includes how-to video instructions on handy kitchen topics like knife sharpening and chicken roasting. Kitchen newbies will greatly benefit from How to Cook Everything because it will in fact teach them how to cook everything. Jamie Oliver’s 20-Minute Meals, $7.99: Hands down, this is one of the best recipe apps on the market. Its only cons are that it is a bit pricier than the others and it contains only 60 recipes. 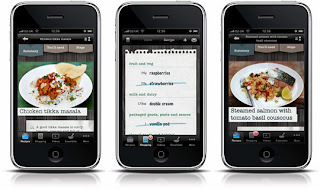 However, users love it for its quick-find function and easy-to-follow recipes. Ingredient lists can be switched to serve two people instead of four, depending on family size. More than that, once made, these recipes are absolutely delicious. Whole Foods Market Recipes, free: Unlike most of the top recipe-finding apps out there, this one is free and includes hundreds of recipes. Its best feature is the “On Hand” tab, which people can use to choose from recipes based on whatever's already in the fridge. Each recipe is indexed with a system of icons so that a user can easily see whether it is low in sodium, gluten-free or vegetarian. Nutrition facts are listed as well. Mario Batali Cooks, $4.99: This app presents users with a simple interface, over 60 Italian recipes, step-by-step instructions, photos and videos. Wine drinkers love it because they never have to guess at what bottle of wine to drink with each recipe – Mario Batali Cooks lists wine pairings with each one. High Five Labs, Inc., created this app with usability in mind, and recipe hunters won’t have to look for long to find the perfect meal. Author Bio: Mandy is a stay-at-home mum with 2 children in primary school, in her past time she loves to garden, travel, cook and write blogs for other stay at home mums and anyone with similar interests. As technology improves more and more these days, the growing demands of daily living has evolved from just simply feeding and clothing oneself to including keeping in touch with friends, and keeping oneself updated with every news and trends in the metro. Because of this, the conventional post-paid plans that people used to avail of are starting to be inadequate to meet these acquired necessities. Luckily, Sun Cellular has risen up to the challenge and created new customized post-paid plans to provide people a more convenient medium of connecting with each other. The Sun Plan 600 which includes Unlimited Sun calls and texts, 350 texts to other networks and aP250 consumable, is a plan specifically designed by Sun Cellular for people who have loved ones abroad because it offers lower IDD and iSMS rates compared to the usual rates being applied. 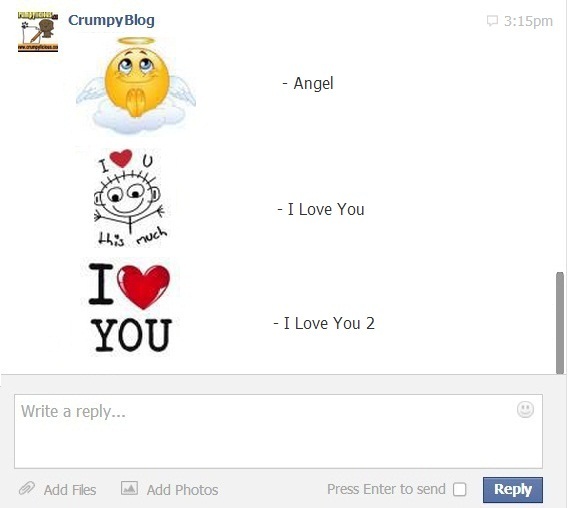 For as low as P2, you can call a loved one staying in another country. The Sun Plan 999 which consists of Unlimited Mobile Internet, Unlimited Sun Texts and 4 hours of Sun Calls, is a perfect plan for people who find it useful to have a smartphone with them instead of the conventional phones. It not only maximizes the functions of the smartphones, but it also provides a way for people to keep themselves up to date with all the current news and affairs happening around the globe. With all these customized post-paid plans that Sun Cellular offer, it’s definitely a given that Sun Cellular is not just a good choice, but an excellent choice in post-paid! 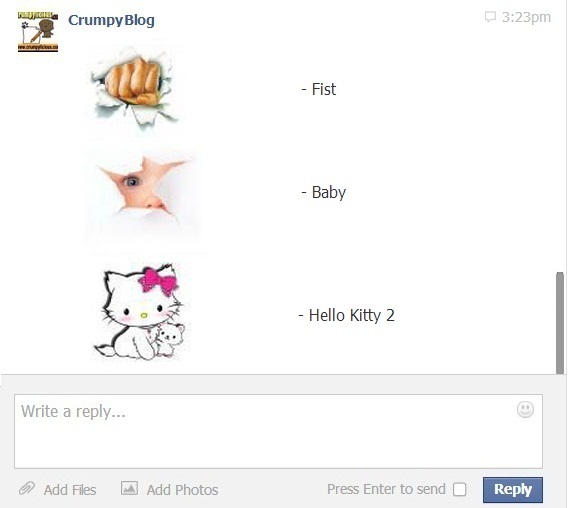 This is the part 2 of the Special Hidden Emoticons for Facebook. 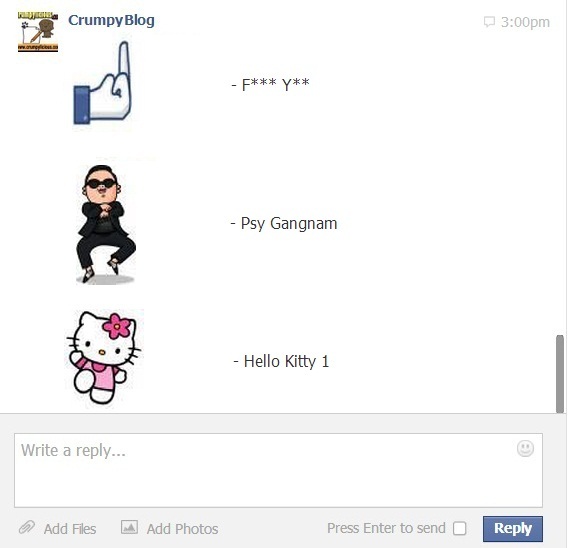 If you want to check out the first part simply click this link Part 1 9Gag Meme Emoticons. 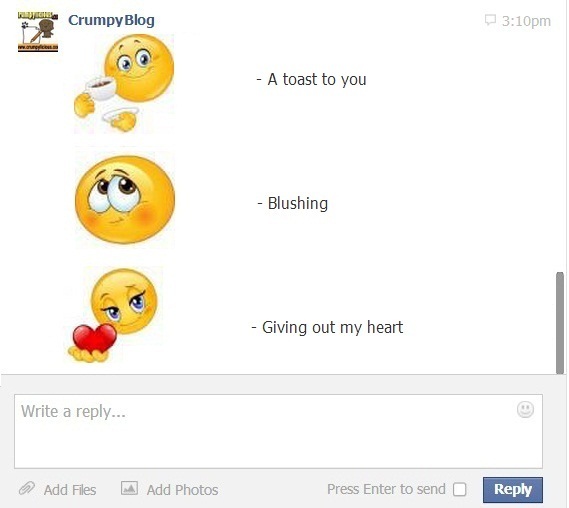 So here are the next batch of Big Special Emoticons for Facebook just copy and paste the following text to your chat box to create these emoticons. Eversince childhood, I've been dread with a super thick hair. Thus in preparation for the summer, I had to cut it short. 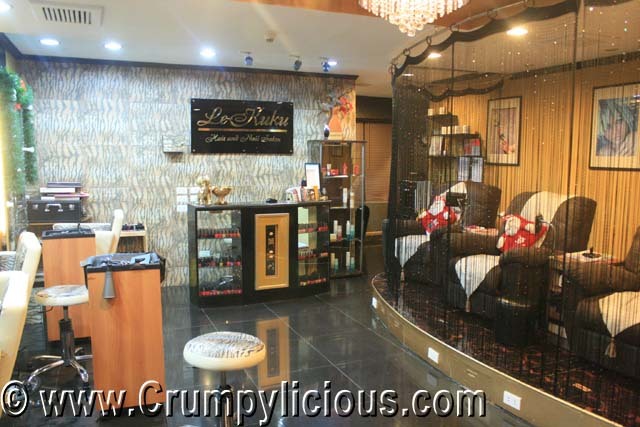 It was my first time to try Le Kuku Hair and Nail Salon at Dusit Thani Hotel. The salon was adequately equipped but I can't help but notice the lack of human presence as soon as I went in. The cashier was however quick to come out. Before I reached her desk, she was already at her station. I told her I'd avail of their Haircut. She then, lets me to the back room to shampoo my hair. While I was drying my hair with the towel, the hairdresser came out. As usual, he/she was surprised by the extreme thickness of my hair and how my strands dominated their black tiles. Overall I'd say the service is just fair. The price on the other hand is of hotel salon range of 1,350 php. Weight loss is always a challenge, and many methods for weight loss can seem expensive. Gym memberships and diet plans can be very expensive, so people sometimes need to become creative in their methods to lose weight and become healthier. Eating at home is one of the simplest and easiest ways to both save money and lose weight at the same time. Food in restaurants and fast food chains is often unhealthy, high in calories, and served in deceptively large portions. Eating at home puts you in direct control of the ingredients that you use, and allows you to prepare your own healthy and fresh meals. It can also reduce your food budget significantly. The more you cook at home, the faster and easier the process will get. If you're very busy, you can consider frozen diet meals, or making your food for the week during the weekend. A restrictive diet such as a vegetarian or low carbohydrate diet will often automatically reduce the amount of calories you're eating. These diets aren't always ultimately sustainable but they can be used to lose weight in a healthy way and a short amount of time. Vegetarian diets save money by avoiding the most expensive food items, which are meats. Low carbohydrate diets involve ditching a lot of empty calories such as snack foods and desserts, so they're also cost effective. Diets don't have to be adhered to completely, so making a few exceptions on certain days can keep you motivated. You should however exercise caution when eating a restricted diet and ensure that you are getting sufficient vitamins and minerals. There are a wide range of supplements in NZ available and a quick Google search will point you in the right direction. Portion control is a simple and cheap way to control the amount of food that you're eating. Placing the food that you take to work in a single small container, or using smaller plates, can make it appear as though you're eating more food than you actually are. You should also concentrate on eating slowly. The stomach usually doesn't register the feeling of being full for ten to fifteen minutes, which means that people who eat quickly can overeat before they realize that they have already eaten enough. Eating slowly can be achieved by eating socially, and allows your brain to catch up with your food. Becoming generally more active is a great and cheap way to lose weight. This means taking up cheap hobbies such as running, tennis, or hiking. Not only will becoming more active help you shed the pounds, it will also increase your general health, and often make you more socially active. You can check with your local community to locate cheap and free yoga or aerobics classes, and you can go to the local community center for pool and facility access. Biking is also a great activity for weight loss. Sports equipment can usually be found very cheaply by using online classifieds as long as you don't mind secondhand items. G.I. 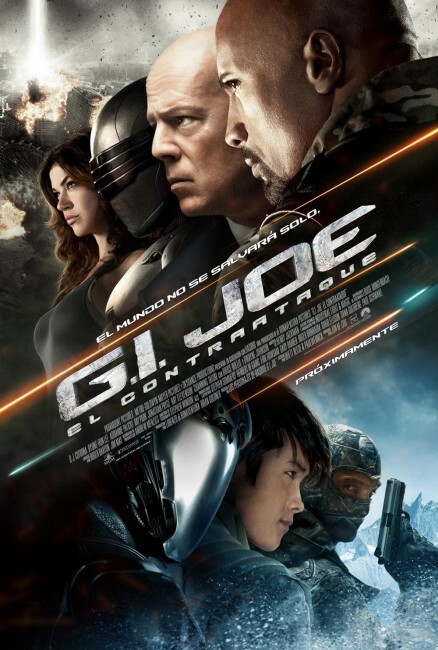 Joe: Retaliation is a nice continuation from the first movie G.I. Joe: Rise of the Cobra with the introduction of a new set of Joes. But, classic favorites Snake Eyes and his sword brother Storm Shadow is still in the picture. The movie filled with action from start to finish. I enjoyed the engaging fire power, martial arts and fighting combat. The casts were well played but there were minor character differences. Dwayne Johnson as Roadblock was close to his character although he wasn't black. Jinx played by Elodie Yung didn't appear to be Japanese. General Colton casted by Bruce Willis was alright I guess except for the lack of hair. On the bright side, Snake Eyes mask looks cooler here. And, wouldn't it be fun if Cobra Commander still had his hissy voice? Firefly by Ray Stevenson was well played. Overall, I'd say it's a must watch. I wonder how the 3D turned out though since I only watched this on 2D. With all the Hasbro credits, I bet this film is an effective campaign for them.